You can grow spring onions from seed, seedlings (sets) and even from the roots of plants that buy in the grocery shop. These are a wonderful plant to grow in the garden, Spring Onions are easy, useful in so many dishes and really a bit of a waste to buy large bunches when you only need a few at a time. 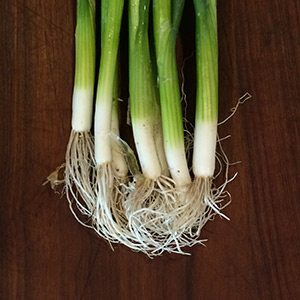 In the UK they are called Scallions, and sometimes Bunching Onions as well as welsh Onions, they are all the same. They are are also called salad onions although they are often cooked as well, especially in asian dishes. In terms of varieties, the white ones such as Lisbon are the more common, you can get red ones as well, just to ad a bit of color. A humus rich well dug free draining soil is best, and they do like some sun as well. You can grow them from seed sown directly or started in propagation trays. Seedlings can be purchased in early spring at most nurseries. The time to plant is in spring, although in warmer sub tropical areas winter planting is successful. They will grow well in part shade, and we grow ours where they get good morning sun, and light afternoon shade. Prepare the soil by digging over and adding some well rotted compost and cow or sheep manure a few weeks before planting. Seed can be sown directly, rake the surface well to provide a flat fine bed for sowing. Sow in drills around 4 cm deep, rake to cover and water in well with a liquid seaweed solution. Seedlings are planted directly and kept moist. They should germinate in 3 – 4 weeks. You can thin out at this stage if you have over sown, although we tend to leave them a little crowded. Harvest when the are large enough. You are looking for warm weather, but before the heat of summer, so planting time will differ according to your location. In temperate areas (Melbourne, Sydney Adelaide Perth ) plant from August through to November. Sub tropical areas (Brisbane) plant from July to September, with a second planting in march. You can also grow spring onions in pots or containers. Spring onions can also be ‘regrown’ from the lower section of bunches purchased. Simply cut of around 3 cm from the part with the roots on it. Place this in water so that 1 cm is in the water, 2 cm above the water. Place in a warm position, sunny, but not hot. Change the water every second day. You should see a green shoot after 4 – 5 days. Wait until this grows about 3 cm. Plant out into a container or into the garden and keep well watered.